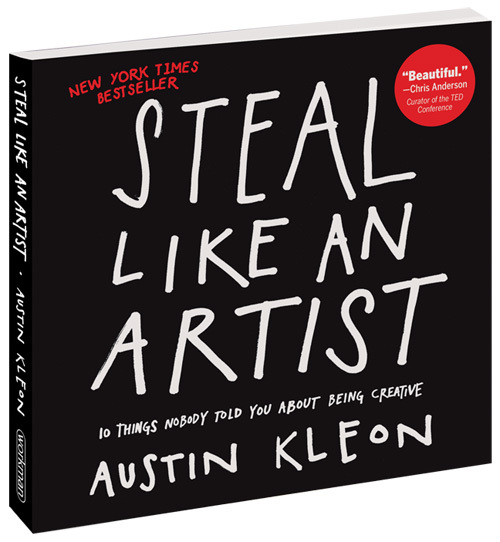 How to Steal Like an Artist may be a short and simple book, but it’s packed with valuable advice that every creative person (basically, every person), really needs to be reminded of every now and then. I think that all of us instinctively know many of these things already, but intellectually knowing something is different from understanding it and being able to apply it to your own life. 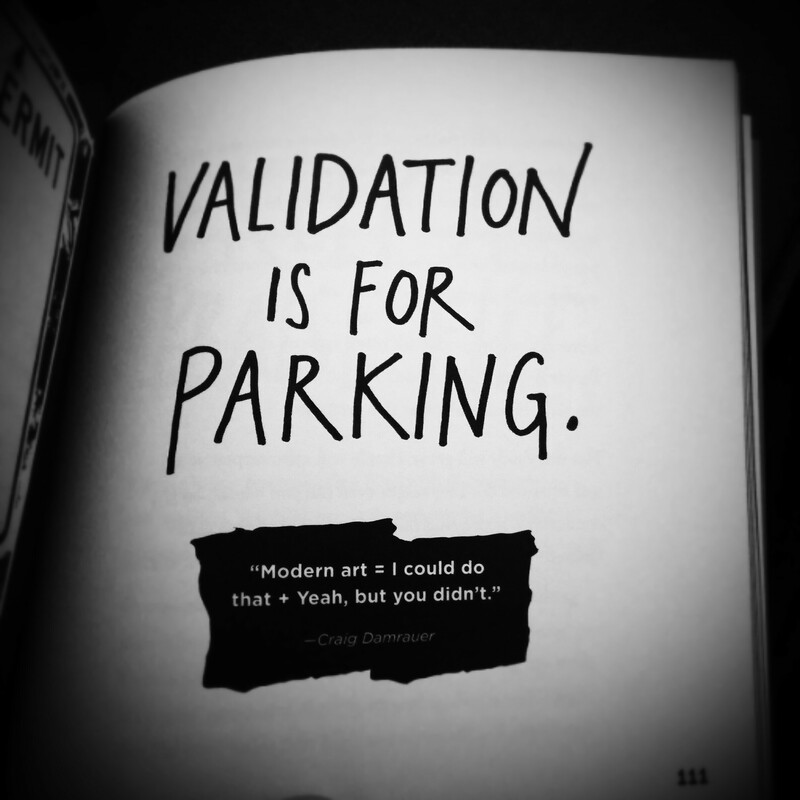 Validation is for parking. I stopped and really thought on this one for some time after reading it. For some reason, it really struck home with me. Art really is in the eye of the beholder. Just because someone thinks a particular piece of work isn’t good doesn’t make it so. That same piece of art may really touch someone else that views it with a different perspective. And is it really so bad just to create for yourself, for your own expression, and to satisfy a particular need to create a certain something? Does every single piece of art, no matter what kind or on what scale, have to be accepted by others in order to have value? I certainly don’t think so! I still stop to ponder this quote from page 111, even long after reading this book for the first time. On a more general note, How to Steal Like an Artist discusses the struggle to create works that are original, when in reality, all things are born from other things in one way or another. So really, we should be focusing less on being 100% unique and should instead work more on turning the collections of things that inspire us back into the things that we create, making them our own. One thing that I try to consider with every new knit design that I create is how to make an otherwise ordinary piece functionally unique. 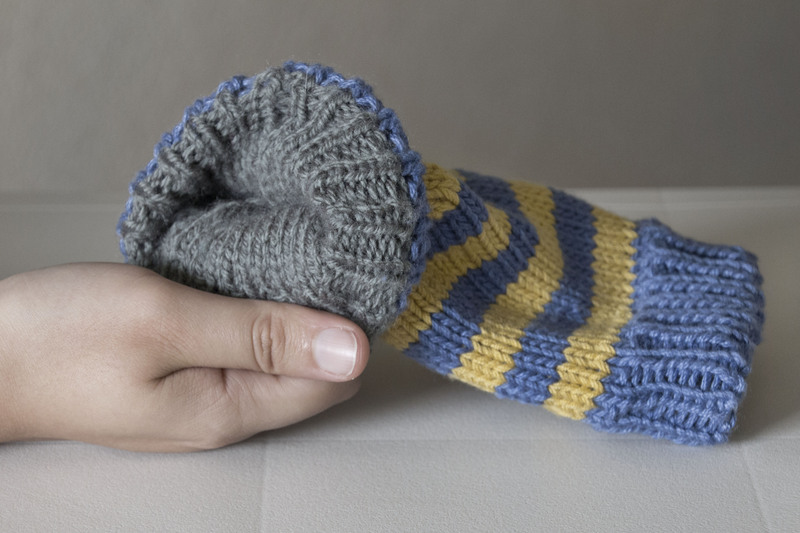 For the Reversible Fingerless Gloves pattern, I decided that I wanted to add a new twist to a popular cold weather accessory, and create two gloves in one pair. 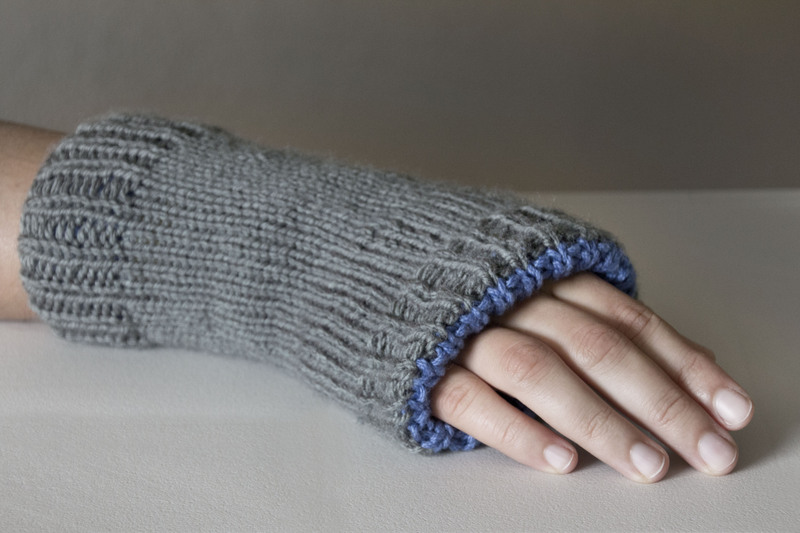 Doing so adds style to the piece while also adding a second layer of knitting, which makes the gloves extra warm and cozy. I thought about how fun fall and winter accessories are to have and to wear, but how having them in fun colors can be a challenge. Not every outfit will look great with a pair of blue gloves, for example, even if you really love that color. Making the gloves reversible provides the option of using a more bold color on one side, and a more neutral color on the other. When designing the pattern, I went with stripes on one side, and solid on the other. Same idea applied slightly differently. Designing knitting patterns requires a lot of work behind the scenes. After coming up with a new concept , calculating the stitches and needles to be used (the icky math part of pattern design), then the pattern has to be test knitted. I always make it once myself before offering it to anyone else. 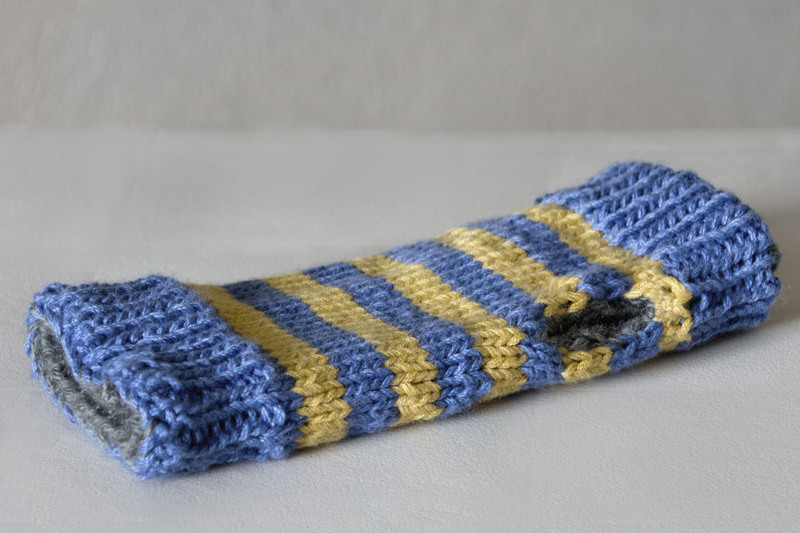 After a handful of people test knit the pattern and adjustments are made as needed, then the item has to be photographed, and the pattern layout finalized. After all of that was done for the Reversible Fingerless Gloves, I’m happy to say that I’m very pleased with the result. Get your copy, and let us know what you think!